Last weekend Converse took London by storm by introducing a playground for the senses: the Converse One Star Hotel. It was located in East London, obviously. We sent two of our founders to investigate the space. Purposely built around the One Star shoe, Converse took to renovate an old four-story "One Star" Hotel to promote it’s legendary shoe - the One Star, which has made a strong comeback through great marketing and renewed acceptance by influencers. This space was extremely Instagram friendly, which is seen through the aftermath of 1,500+ Instagram posts with the #onestarhotel hashtag. The two-day invite only event hosted various artists from Yung Lean to A$AP Nast. 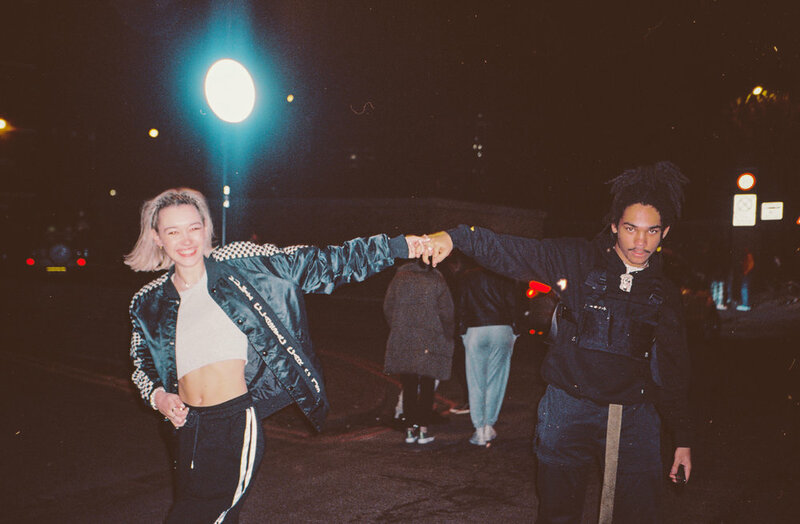 During the daytime there were various workshops and as the sun set the basement of the hotel became the venue for live performances from the likes of Princess Nokia and Yung Lean. Furthermore, there were notable re-stocks of some coveted One Star models ranging from the Patta x Converse collaboration and Tyler, The Creator's first colorway of the “Golf LeFleur” One Star. Converse also dropped the gloomy Yung Lean One Star, which was only available through the One Star Hotel. Oh and there was also free beer and pizza. All the different rooms were curated by a host of artists, which was a fresh spin to the usual campaigns that we have seen from other brands. It is not often that you see Yung Lean design a whole space, which gave the guests an inside look to what the artist wanted to portray. It was also a remarkable networking opportunity, because the hotel was full of like-minded creators, designers and enthusiasts across the board. Also, Gully Guy Leo was working the front desk as guests checked in. Itching to buy the One Star? Jump to Caliroots to buy yours by pressing the shoe! We want to thank Converse for the warm hospitality and support for our Hypend movement. Don't forget to sign up to our newsletter to stay woke.